Today, in accordance with new rules, VCU men’s hoops opens practice. The Rams will have 42 days in which to practice a maximum of 30 times. Set your 42-day countdown clocks. In the meantime, Coach Shaka Smart is talkin’ ’bout practice. In that vein, if you can’t get excited by Shaka Smart Mud Face, then I can’t help you. Smart is literally willing to wade through the muck for his players. How can you not love a coach like that? Only Pat Kennedy’s sport coat is more willing to get down and dirty in the name college hoops. The 10-4 VCU Volleyball team kicks off Atlantic 10 play Friday at four-time defending league champion Dayton at 7 p.m. So much for easing into conference play. The Flyers were the coaches’ preseason pick again this year, but VCU has shown it’s not intimidated by a step up in competition. The Rams nearly upset No. 19 Kentucky and just-barely-unranked Wisconsin, and toppled Tennessee this season. The Rams have played an exciting brand of volleyball under first-year Head Coach Jody Rogers. Follow live scoring and audio at VCUAthletics.com. VCU Field Hockey hosts Siena at 4 p.m. at Cary Street Field. Come for the fresh air and the smell of fresh cut turf, stay for the heartwarming sister reunion. VCU freshman defender Sydney Weise will share the field with older sister Callie, a junior midfielder for the Saints. The Weise’s hail from Freehold, N.J. The VCU Women’s Basketball team, which has adopted the slogan “Fear the Fury” this season, will travel to Ohio State for a second straight season, it revealed with Thursday’s schedule release. The Rams, who return A-10 leading scorer Robyn Parks and welcome a stacked recruiting class, will open at Youngstown State on Nov. 9 and also meet Richmond and Old Dominion as part of a competitive slate. In case you missed it, former Ram Jason Johnson scored this fancy futbol goal earlier this week for the Houston Dynamo. A season-opening loss to UAB has helped spur the Rams into the top 10. RICHMOND, Va. – While the 4-0 score is somewhat misleading, there’s no doubt VCU’s season-opening loss to UAB at Sports Backers Stadium on Aug. 30 was a bit of a gut punch to a team with high expectations. But since that ego-bruising debut, the Rams (3-1-1) have been splendid. VCU followed with a draw with No. 9 New Mexico, then went on the road to topple a 13th-ranked Maryland squad, seventh-ranked Akron and Niagara, an NCAA Tournament team a year ago. This week, the Rams rocketed up the NSCAA Top 25 Poll to No. 8, the school’s highest since 2004. In some ways, the Rams say, that disappointing loss to a solid UAB team, like a bucket of cold water to the face, was a wake-up call. Although the Rams outshot UAB 12-8 and had 15 corners to the Blazers’ two, VCU couldn’t crack the scoreboard and couldn’t get enough stops defensively. What followed was a week’s worth of defensive drills and instruction that appears to have shored up the Rams’ early deficiencies. The Rams have allowed just three goals in the last four games and posted back-to-back 1-0 shutouts last weekend at Akron and against Niagara. VCU’s Jason Johnson has signed an MLS Generation Adidas contract and awaits Thursday’s league draft. Editor’s note: Jason Johnson was selected 13th overall by the Houston Dynamo at the Jan. 17 MLS SuperDraft in Indianapolis. 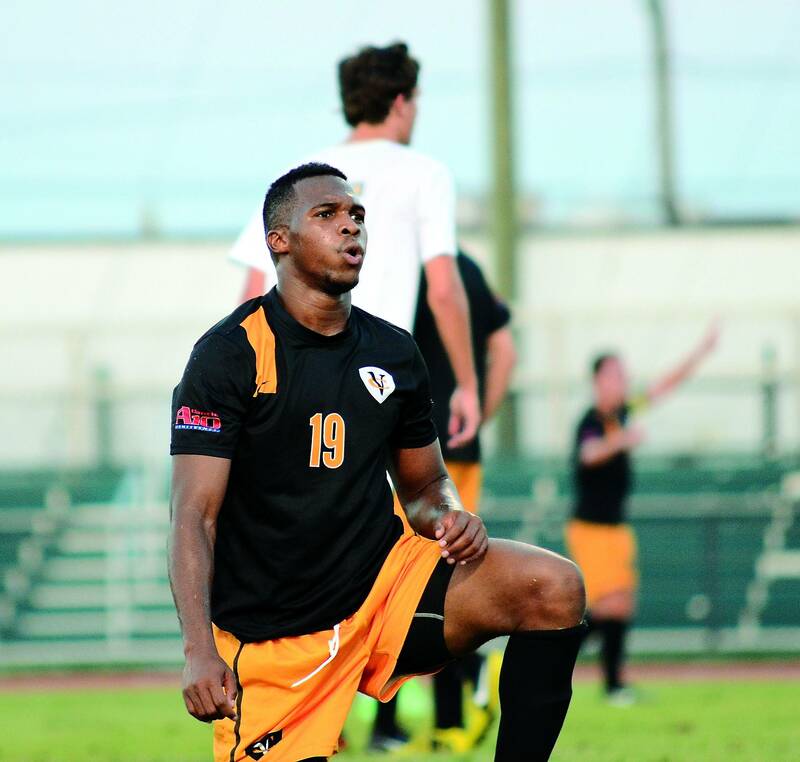 It wasn’t until the eighth grade that VCU’s Jason Johnson first played in an organized soccer game, years after many of his peers. But his career got off to an auspicious start – Johnson scored a goal in that contest. He hasn’t slowed down since. Earlier this month, Johnson inked his first professional contract with Major League Soccer as part of its Generation Adidas program. Generation Adidas seeks to identify and retain the best college soccer talent in the United States. Players are offered guaranteed multi-year contracts with the league and do not count against a team’s budget or roster limits. Players in the program also receive educational stipends to finish their degrees. On Jan. 17, Johnson is expected to be one of the top selections in the MLS SuperDraft in Indianapolis. 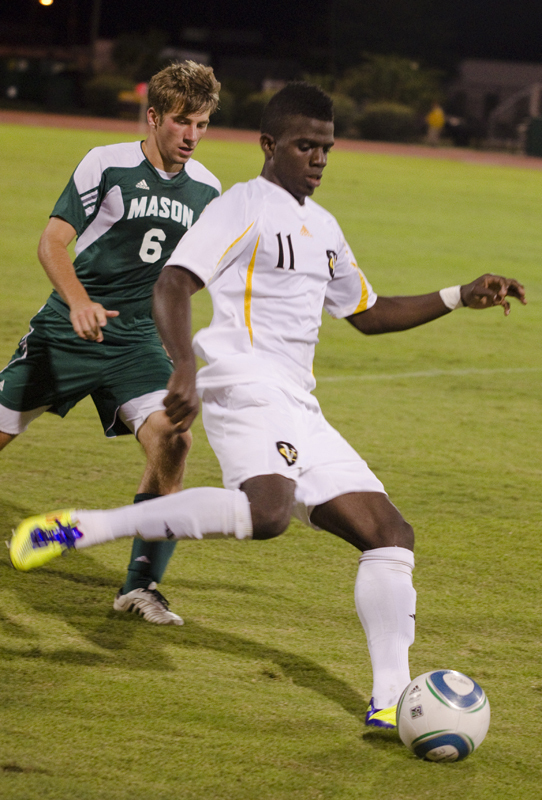 Johnson will be the first VCU Soccer player drafted since Dominic Oduro was a second round pick of FC Dallas in 2006. Some rate Johnson as the top forward in this year’s draft. He scored 13 goals this season and a total of 28 in three seasons with the Rams. Coach Dave Giffard, 31-17-11 in three years at VCU, directed the Rams back to the NCAA Tournament for the first time since 2004 this season. RICHMOND, Va. – There were some people who scoffed at the notion presented by Athletic Director Ed McLaughlin this summer, that VCU can win a national championship. 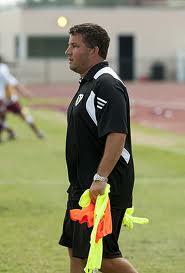 But Men’s Soccer Coach Dave Giffard has always operated with that understanding. He talks about winning a national title so naturally in conversation that it doesn’t seem like a matter of if VCU can win one, but rather when. Giffard was an assistant coach for Akron in 2009 when it reached the College Cup Final against Virginia, and has matter-of-factly approached his job at VCU the last three years a continuous chase for a national title. On Sunday, he’ll get his first legitimate crack at fulfilling that goal when VCU (12-3-5), the No. 14 overall seed, takes on Syracuse in the second round of the NCAA College Cup at Sports Backers Stadium at 7 p.m. The match will mark the Rams’ first NCAA Tournament appearance since 2004, when they reached the Elite Eight. But the team that will meet Syracuse Friday is much different one than Giffard presided over when he arrived after the 2009 season. VCU, once a nationally recognized power, sank to 5-10-2 in 2009 and finished the year 161st in RPI. From 2005-09, VCU advanced to the conference tournament semifinals just once. THE WRAP: SEPT. 11 – EVERYBODY’S A WINNER AT O’SHEA’S! I had a flashback this weekend, as VCU teams were barreling through their schedules and piling up victories. 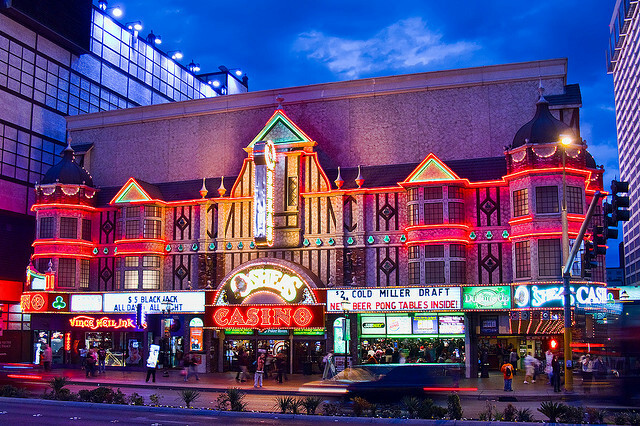 It was the summer of 2003, and I was in Las Vegas for my college roommate’s bachelor party. By 4 a.m. of the first night (because Vegas deserves a minimum of two nights, even if it kills you) we five remaining souls, including four of us who had flown cross-country that morning, found ourselves at the gritty Las Vegas Strip outpost O’Shea’s, an Irish-themed casino whose dingy carpets and worn felt underscored years of neglect. This was not that O’Shea’s.